Meeting Minutes – May 2016 | F.F.A.M. President Kenneth Hoover opened the 62nd Annual FFAM Convention by ringing the bell on Friday, April 29, 2016 at the Tan-Tar-A Resort in Osage Beach, Missouri. The Mid-County Fire Protection District Color Guard and Lake Area Emergency Services Association Magic Dragon Pipes and Drums posted the colors. Sunrise Beach Fire District Fire Chief Dennis Reilly led the Pledge of Allegiance. Monsignor Marion Makarewicz, Pastor Our Lady of the Lake Catholic Church, gave the invocation. Sunrise Beach Fire District Fire Chief Dennis Reilly welcomed attendees to the convention. President Hoover welcomed all attendees to the convention and thanked Lake Area Emergency Services Association, Inc. for their hard work in hosting the convention. Past President Keith Smith presented the Nominating Committee slate for the 2016 FFAM officer elections. Positions for election are District 2 Director, District 6 Director, District 8 Director and District 12 Director. The following individuals are seeking election for those respective positions: Greg Wright, District 2 Director; Gary Berendzen, District 6 Director; Open, District 8 Director; Open, District 12 Director. President Hoover made final announcements. President Hoover closed the opening session at 7:25 p.m. Welcome to all in attendance to the 62nd Annual FFAM Convention and head table introductions by Mid-County Fire Protection District Chief Scott Frandsen. FFAM President Ken Hoover gave the invocation followed by the meal. Keynote Speaker Dr. Denis Onieal, Deputy Fire Administrator of the United States Fire Administration gave a motivational speech on the future changes of the fire service. Scholarship Committee Chair Grant Oetting announced the 2016 scholarship recipients. Continuing Education: Heather Young, Union Township Volunteer FD. High School: Vanessa Gilbert, Highlandville FPD; Nathan Boone, Pumpkin Center FD; Hannah Gerdts, Concordia FPD; Audrey Smith, North Central Carroll County FPD. Fire Prevention Committee Chair RB Brown announced the 2016 poster contest award winners. Contest Committee Chair Rob Erdel announced the 2016 convention contest winners. A new record time was set by Southern Stone #1 in the Extending a Line competition. The new time is 40.81 surpassing the 1990 record held by Galt of 41.27. 2 Person Hose Coupling: 1st Southern Stone #1; 2nd Cole County #1; 3rd Madison West Monroe #2. Replace a Section of Hose: 1st Cole County #2; 2nd Little Dixie #2; 3rd Cole County #1. Extending a Line: 1st Southern Stone #2; 2nd Little Dixie #1; 3rd Cole County #1. Water Barrel Fight: 1st Cole County #2; 2nd Cole County #1; 3rd Galt #1. Bucket Brigade: 1st Madison West Monroe #1; 2nd Little Dixie #2; 3rd Little Dixie #1. Overall: Cole County #1. Auxiliary Member Jenny Smith presented Christina Loyd with Little Dixie Fire Protection District with the Auxiliary Member of the Year award. Meritorious Award: Lt. David Hamilton, Johnson County FPD. Life Saving Award: Anthony Griggs and Dylan Honea, Southern Stone County FPD. Life Saving Award: Lt. Doug Franklin and Lt. Blake Callen, Trenton FD and Grundy County Rural FPD. Life Saving Award: Alma Fire Department. Fire Department of the Year: Chillicothe Fire Department. Fire Fighter of the Year: Lt. Scott Prater, Little Dixie FPD. Chief Officer of the Year: Roy Sims, West Plains FD. President Hoover presented Kay Asher, Wentzville FPD with the Phil Sayer Lifetime Achievement Award. The Henry Golden Boy Firefighter Edition Rifle donated by Jay Weinstein and his son was raffled off by President Hoover and Assistant Director Steve Gentry. All proceeds from the raffle sale are going to the Firefighters Museum Foundation. 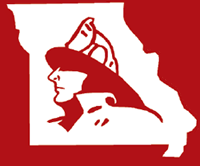 President Kenneth Hoover called the meeting of the Board of Directors of the Fire Fighters Association of Missouri to order at 9:00 a.m. Sunday, May 1, 2016 Tan-Tar-A Resort, Osage Beach, Missouri. President Kenneth Hoover, Little Dixie FPD; First Vice President Tim Bean, West Plains FD; Second Vice President Charlie Neubert, Highlandville Rural FPD; Secretary Treasurer Jaime Miller, Johnson County FPD; Sergeant-at-Arms Rex Reynolds, Southern FPD of Holt Co.
District 1 Terry Wynne, Galt FPD; District 2 Greg Wright, Shelbina FD; District 3 Larry Jones, Madison West Monroe FPD; District 4 Joe Vaughn, Pleasant Hill FPD; District 5 Terry Plumb, Southern Stone FPD; District 6 Gary Berendzen, Cole County FPD; District 7 RB Brown, Eureka FD; District 9 Roy Sims, West Plains FD; District 11 Monty Thompson, Kearney FPD; District 14 Rick Dozier, Southern FPD of Holt Co.
District 1 Janet Cain, Braymer FR; District 3 Rob Erdel, Little Dixie FPD; District 3 Steve Gentry, Little Dixie FPD; District 4 Jonathan Evans, Lincoln FD; District 9 Kurt Wilbanks, West Plains FD; District 10 Greg Brown, Eureka FPD; District 11 Ryan Miller, Norborne FPD; District 14 Glenn Dittmar, South Central Buchanan County FD. Past President Keith Smith, Warrenton FPD; Historian Kay Asher, Wentzville FPD. Greg Carrell, Missouri Division of Fire Safety; David Hedrick, Gail Hagans, Kevin Zumwalt, MU FRTI; Larry Eggen, Larry Jennings, Dee Bennett, Johnson County FPD; Donald Vaucher, Harriett Vaucher, Eureka FPD; Duane Miller, Versailles FD; Brian Zinanni, Clayton FD; Donnie Braun, Gary Smith, Cole County FPD; Wayne Cormier, West Plains FD; Don Hahne, James Peffermann, Washington FD; Jason Nelson, Harold Muehe, Northeast R IV FPD; Jim Brockett, Southern Stone FPD; Katelyn Borgmann, Richard Voss, Beaufort Leslie FPD; Ronnie Fields, Cy Fields, Paris Rural FPD; Shannon Breid, Madison West Monroe FPD; Donnie Rogers, Chillicothe FD; Rob Schrage, Jefferson R7 FPD; Erik Jackson, Hunter Hanes, Destin Gann, Brian Smiley, Sylvia Berry, Cindy Gott, Galt FPD; Kurt Ploch, Andrew Caldwell, Jim Casey, Boles FPD; Jeff Dorhauer, Osage Beach FPD; Charlie Peel, SE Randolph FPD; Billy Smith, North Central Carroll FPD; Doc Kritzer, Firefighters Memorial Board. President Hoover asked for corrections or additions to the May 2015 convention board meeting minutes. Charlie Neubert moved to accept the minutes as presented. Greg Brown seconded the motion and all approved. President Hoover asked for corrections or additions to the January 31, 2016 board meeting minutes. Rick Dozier moved to accept the minutes as presented. RB Brown seconded the motion and all approved. President Hoover asked for a review of the January–March 2016 financial reports. Charlie Neubert moved to accept the financial report as presented. RB Brown seconded the motion and all approved. Director David Hedrick with MU FRTI expressed appreciation to the Lake Area Emergency Services Association for hosting the convention and congratulations to all award winners. There were 14 attendees in the Recruitment and Retention class and 31 attendees in the Board of Directors class both held Friday, April 29 during convention. MU FRTI fiscal year ends June 30. Over 600 classes will have been taught by that time at no cost due to funding through the Division of Fire Safety and educational funding released by the Governor. 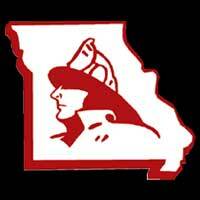 Summer Fire School will be held June 8-12 in Jefferson City. Registrations are still being accepted. The Division of Fire Safety is providing scholarships. Fire Fighter Day at the Capital is Tuesday, May 3 in Jefferson City. Everyone is encouraged to attend. Annual training proposals are being presented to the commission this month. The propane industry responder’s conference will be September 23-25 in Sedalia. There will be more information out soon. State Fire Marshal Greg Carrell with the Division of Fire Safety expressed his thanks to the Lake Area Emergency Services Association for hosting the convention. The legislative session is in its final two weeks. Fire Fighter Day at the Capital is May 3. Firefighters are encouraged to attend and voice their concerns to the legislators. There are several fire topics under consideration at this time. Fire Department Emergency Operations and Recovery Planning for Natural Disasters training will be held May 4. Contact the DFS if interested in attending. The Division is working on the website to show what classes are offered and will make the process easier to research and contact vendors. The Division has several open positions at this time including trainers. Anyone interested is encouraged to take a look at the openings and consider applying. No unfinished business was presented. Sergeant-at-Arms Reynolds conducted a roll call of the delegates. Keith Smith reported that four positions are up for election. The nominations are Greg Wright, District 2 Director and Gary Berendzen, District 6 Director. The District 8 Director and District 12 Director positions remain open. RB Brown moved to elect by acclamation Greg Wright, District 2 Director and Gary Berendzen, District 6 Director. Rick Dozier seconded the motion. A hand vote was taken. The motion was approved with no opposing votes. Larry Jennings extended his thanks to the Awards Committee for their help in the process and to those that turned in award nominations. Nominations are due by February 28, 2017 and can be submitted at any time throughout the year. 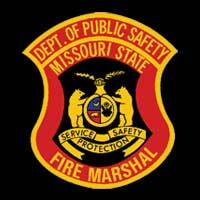 David Hedrick reported that Missouri Fire Chaplain Corp annual meeting/training will be on May 4-6 in Arnold, Missouri. The Federation of Fire Chaplains conference is Oct. 16-20 in Ohio. The Corp has taken note of an increasing number of firefighter suicides. 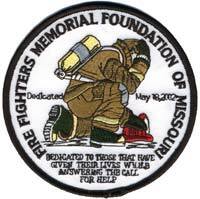 There is now a Firefighter Behavioral Health Alliance that will be holding a memorial service on May 20 at 9:00 p.m. in memory of those firefighters who have taken their own lives. More information can be found at www.ffbha.org. Rob Erdel extended thanks to everyone who assisted with setting up and judging the contest. Everything went very well. Larry Jones reported that the 2017 convention will be held in Sedalia and hosted by the Missouri State Fair Fire Department. Convention Committee Chairman Larry Jennings advised the dates will be April 21 – 23, 2017. Lodging information will be on the website soon. Assistant Chairman Grant Oetting has been working on rates with local hotels. Discussion was held on whether official action was previously taken by the delegates to approve the location of the 2017 convention. Don Hahne moved that the 2017 convention by held in Sedalia and hosted by the FFAM/Missouri State Fair Fire Department. Jeff Misel seconded the motion and all approved. Rick Dozier reported that there will be a Propane First Responders Conference September 23-25 at the State Fair Fire Department in Sedalia. More information will be presented soon regarding the training. RB Brown thanked everyone who participated in the poster contest. Greg Brown reported that there is two weeks left in the legislative session. May 3 is Firefighter Day at the Capital which is very important for fire personnel to attend to meet and talk with legislators. There is a proposal for an additional $40,000 in firefighter training funds which would bring the total to approximately $700,000. HB1964 changes the laws regarding public safety officers who are eligible for a survivor’s and disabled employee’s educational grant which now has the same provisions as SB732 in addition to some other language regarding filing fees and director residences. Workers comp grants for volunteer firefighters, SB613 enacts new provisions of law relating to the workers’ compensation insurance premiums of volunteer fire departments. Current 9-1-1 legislation is making more progress than in years past. There is also an annexation issue that could cause problems this year as it relates to fire departments. Weekly legislative reports are emailed out so if your department isn’t receiving them, contact Secretary Miller to ensure she has a valid email address. Charlie Neubert reported the following membership counts: 470 Directors/Councilman; 266 Retired; 13 Associate; 13 Sustaining; 17 Corporate, 367 Departments; 6718 Active; 10 Educational; 26 Juniors. He also advised he would be reviewing the lifetime memberships. Keith Smith reported that there is a Share the Load program created to assist firefighters with personal issues. The program is now receiving approximately 170 calls per month. The team takes calls 24/7. There is also a new movement that is being researched that would educate doctor’s on addressing more health issues related to those that work in fire service and certain conditions that are more prominent in firefighters. He also advised he would not be attending the spring NVFC due to a personal conflict. Monty Thompson reported that the fair will be August 11-22. Applications are due today. There is a work weekend scheduled for June 4-5. 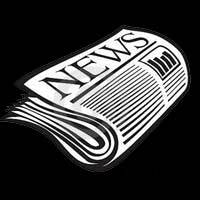 The deadline for the next newsletter has been extended to May 4 at 8:00 a.m. All convention articles and pictures are due by that morning. Departments are encouraged to send in articles. Kay Asher reported that she is working on finding a new location to house all of the historical items she maintains. Keith Smith reported the annual memorial service is May 14 at 9:00 p.m. and May 15 at 10:30 a.m. in Kingdom City. The guest speaker on Sunday is a survivor. The Foundation is also working on a better way to notify families when their loved one will be recognized during a memorial service. If there is inclement weather, services will be moved to a school five miles north of the memorial. 2nd VP Charlie Neubert advised that Silver Dollar City is working on a promotion to honor first responders in September. More information to follow. 1st VP Tim Ben read and presented Jeff Dorhauer and the Lake Area Emergency Services Association with a resolution on behalf of the FFAM for hosting the annual convention. Roy Sims moved to adjourn the meeting. Tim Bean seconded the motion and all approved. President Hoover adjourned the meeting at 10:25 a.m.